Romeo Beckham is reportedly dating Millie Bobby Brown – and mum Victoria is a fan. The 16-year-old tennis hopeful first met the Stranger Things actress, 15, at Unicef’s 70th anniversary gala in 2016, with the pair immediately hitting it off. Now the pair are reported to have started dating, with a source telling The Sun it’s ‘early days’ for the duo. 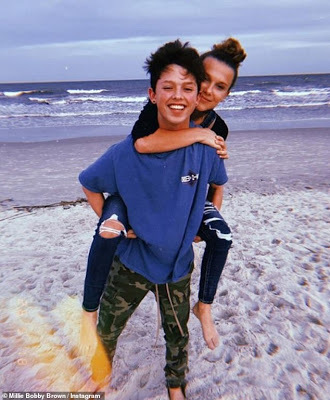 Whilst Romeo has never dated anyone publicly, Millie was in a relationship with American singer Jacob Sartorius, 15, until July 2018. ‘We are both happy and remaining friends,’ she acknowledged before signing off with a red heart emoji.